I have a class called Team, that can have any number of optional TeamMembers. 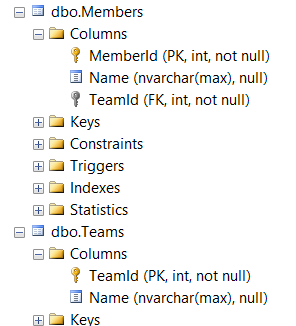 There appears to be 4 ways to declare it using EF / LINQ to Entities. What is the difference in the following declarations? Why would / should I choose one over another? 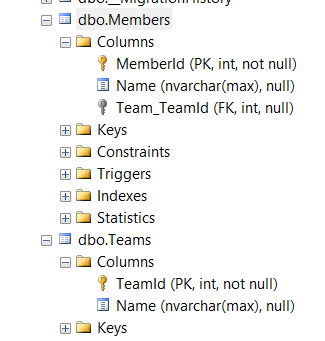 I understand that if I don't specify a Team / ID property, then I won't be able to access that from a TeamMember object. But beyond that how does it affect the DB relationships? The first 2 implementations will result in the same database structure.